Medical student participates in chest tube learning module, for which Dr. Amy Liepert and her team won Best Podium Presentation. 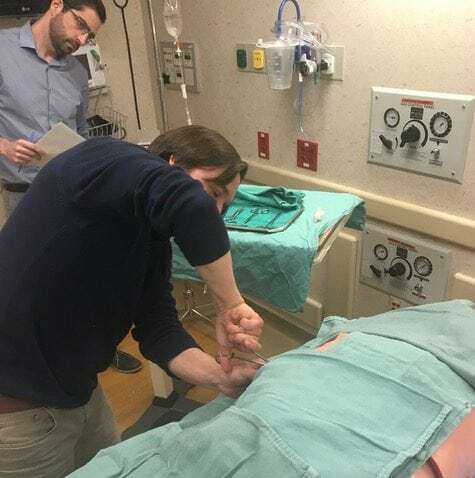 In addition to providing excellent patient care and moving surgery forward in our lab, Department members are hard at work educating the next generation of surgeons, including through innovative clinical simulation techniques. 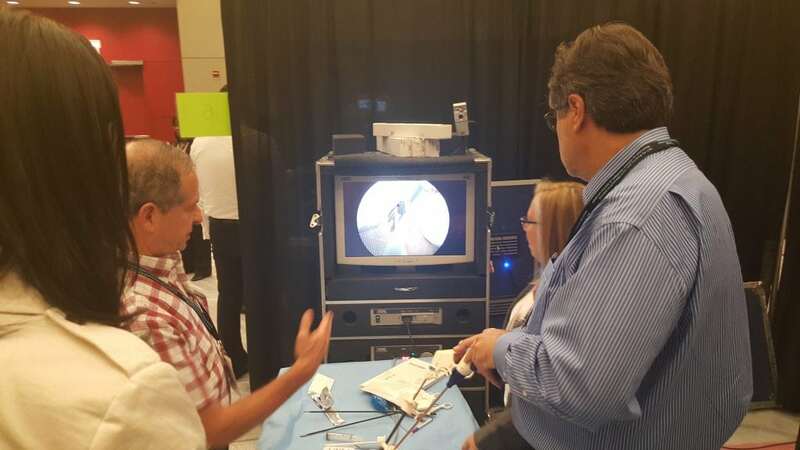 Their efforts were recognized this year at the American College of Surgeons-Accredited Education Institutes Annual Surgical Simulation Summit. Dr. Amy Liepert won Best Podium Presentation for “Chest Tube Mastery Learning Module for Graduating Medical Students: A Study of Anxiety, Confidence, and Performance,” by Dr. Liepert, Andrew Velic, Allison Blumenfeld, Medical Student Program Manager Elizabeth Bingman, Dr. Ann O’Rourke, and Faculty Associate for Education Research and Development Sarah Sullivan, PhD. Participants in a simulation environment at the ACS course where data was collected that was used in Martha Godfrey’s award-winning project. Martha Godfrey won Best in Show for “Teaching Practicing Surgeons What Not to Do: An Analysis of Instructor Coaching Fluidity During a Simulation Based CME Course,” by Martha Godfrey, Medical Education Researcher Alexandra Rosser, Dr. Carla Pugh, David Williamson Shaffer, Dr. Ajit Sachdeva, and Sarah Sullivan, PhD.